2. Locate the Reverse Number Lookup box. 3. Enter the toll-free number. Drop the 1 from all 1-800 numbers. For example, entering "800-555-5555" is the correct way to enter a toll-free phone number that is otherwise listed ats "1-800-555-5555." 4. Click "Search" and wait to be directed to a second page. 5. Review the contact information page. WhitePages will provide the physical address of the business or organization associated with the phone number as well as a map of the location. Other information will also appear, including the type of number (in this case, a business toll-free number) and provider. Verify that the toll-free number is correct to ensure the correct business address is provided. 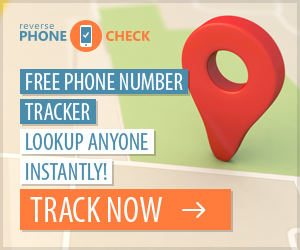 Using a phone number reverse look-up directory is the most efficient way to find an address for a toll-free number. (The only other free option is to enter the toll-free number into a search engine like Yahoo, Google or Internet Exployer.) Never pay to use a toll-free directory service as this service is available free of charge from WhitePages, National TollFree Directory and ATT.